Alex Rheault (website), one of my mentors, sponsored a series of shows. For this one, the theme was SPLIT. 6 x 9 was the size limit. 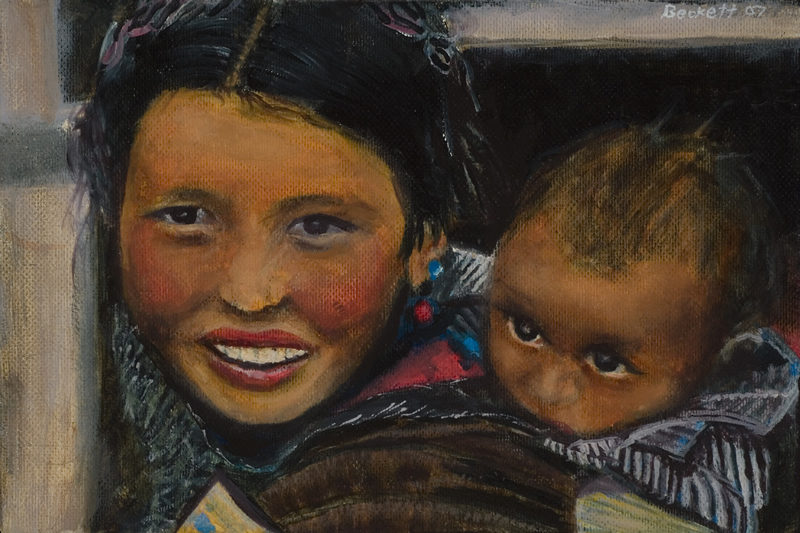 I had been contemplating painting this mother and child from a reference I found on the internet.